There are two main ways of finding out if you are pregnant – getting your blood tested, and doing home pregnancy urine test. In order for these tests to give you a clear picture, you need to wait until the right time i.e. until you’ve missed your period. 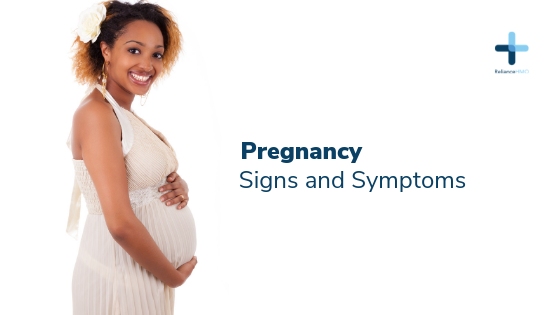 However, there are several early signs of pregnancy that can give you an indication. Shortness of breath – Do you find yourself losing your breath on the stairs or when you walk for a long period of time, more than you usually do? This could be a sign of pregnancy since the fetus needs oxygen, leaving you feeling a little breathless even when you mildly exert yourself. Sore breasts – If your breasts suddenly start feeling a little heavy or you feel like they have grown and your areolas seem slightly darker, it could be one of the first signs that you are pregnant. Fatigue – The increase in hormones in your body during a pregnancy could lead to you feeling a lot more tired. If you end up exhausted after a normal day this could be because women tend to feel extreme tiredness during their first trimester of pregnancy. Nausea – Around 6 weeks into a pregnancy (sometimes earlier), women tend to feel nauseous. This usually subsides as you enter into your second trimester. Feeling nauseous could be a sign of pregnancy. You can treat it by eating things that help settle your stomach like crackers and soda. Frequent Urination – If you notice yourself needing to urinate more than usual, it could be a sign of pregnancy. This happens because your body is now producing extra fluids that cause your bladder to work extra. Headaches – An early sign of pregnancy is experiencing frequent headaches. This happens because your body is now suddenly dealing with a lot of excessive hormones. To deal with the headaches make sure you take a pregnancy safe painkiller instead of a normal one.